It’s hard to believe that Caroline turned one this month. I plan on updating everything about her party in a post in a few weeks. She is so close to walking, but she hasn’t taken a step unassisted yet. That hasn’t slowed her down! She is all over the place, crawling at unbelievable speeds or cruising around the furniture. When she does take that first step, she will probably break out into a full sprint! Caroline’s diaper changes have also changed remarkably. Instead of just sitting there nice and quiet, she is now a squirmer. It is getting more and more difficult to get her changed, but with the help of Huggies Slip-Ons, I can change her standing up. I can’t tell you how much easier it has been since her #FirstFit with the Huggies Slip-Ons. I don’t have to stand there and struggle with her as she squirms around the changing table. I can simply pull up the diaper without much effort. 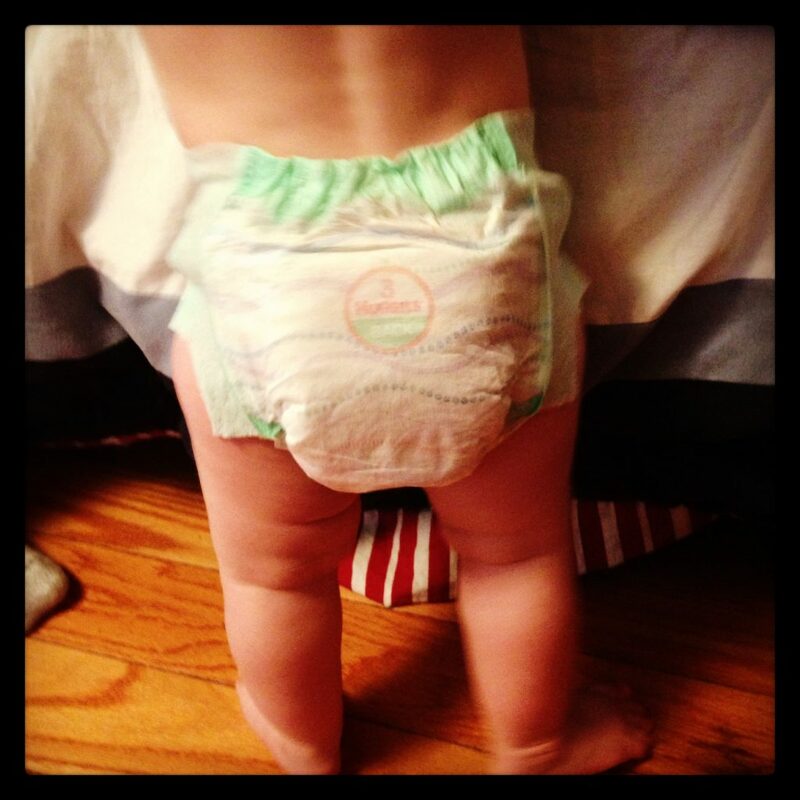 The sides are easily detached, much like a regular diaper so changes are quick and easy getting her back into action. As you can see, nothing can stop this little girl and she doesn’t like to stop for diaper changes! The diapers fit snug and so I don’t have to worry about leaks or the diaper failing Caroline when she needs it the most. 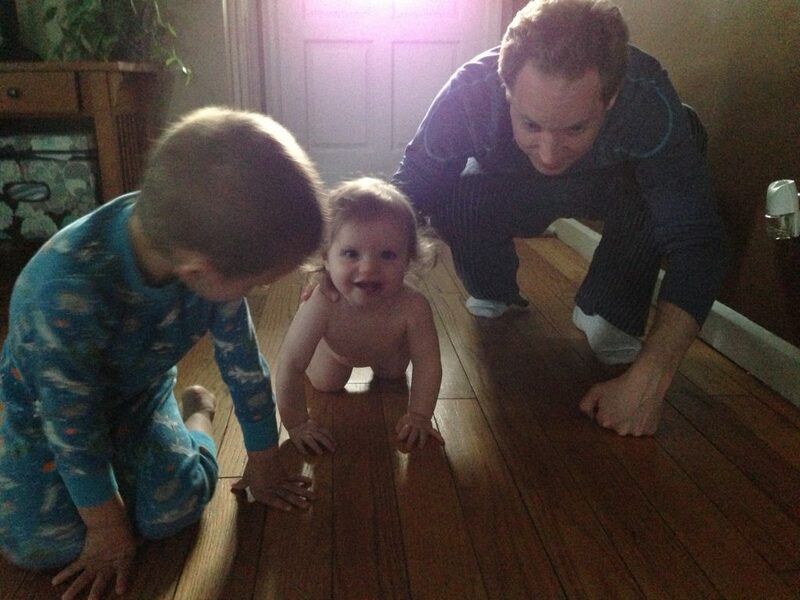 The snug fit doesn’t limit her challenging her brother and daddy to a race to her room, she can move…. fast! I am looking forward to the next couple of weeks as we move into our new home and Caroline has a larger home to learn how to walk in. Her first few steps could come any day now. Its great to have a diaper that works perfectly during this time of her little life. Anything that makes diaper changing a little bit easier is welcome in our home.